PwC Legal is a team of legal experts with solid experience in local and international legislation within the largest professional network of 2,500 lawyers across 83 countries. PwC Legal is a “full-scope service law firm” which renders services in traditional, as well as innovative legal practices. Our legal team serves different industries with a wide range of services reaching all key areas of legal business practices. 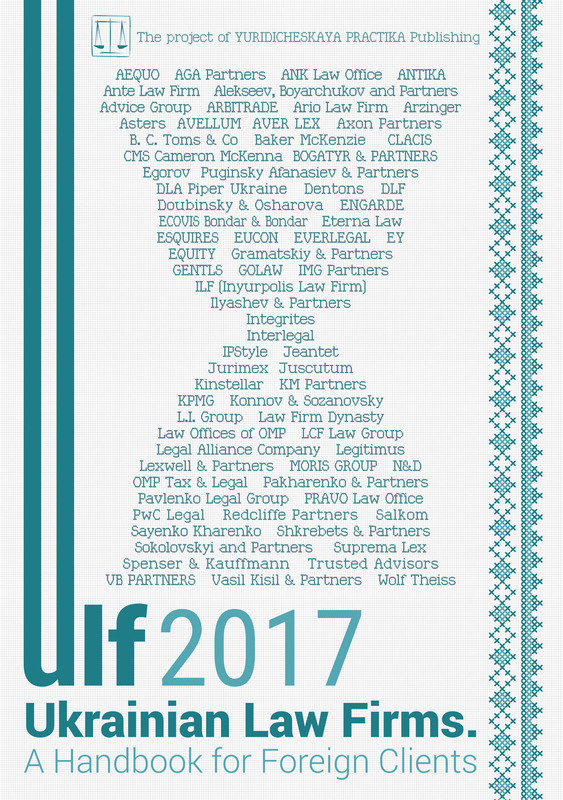 In Ukraine we bring together teams of specialists in legal services and other disciplines such as tax, insurance and business consulting to work as your trusted business advisers. It has been more than two years since the measures, which introduced criminal liability to legal entities, officially came into effect in Ukraine. Since then, the application of criminal liability to a company’s officials for the committing of certain crimes (including corruption-related offences) entails criminal prosecution of the company itself, and can even result in its liquidation. On Prevention of Corruption, which officially established the possibility and, in certain cases a “requirement”, to approve anti-corruption programmes in businesses. As expected, local businesses did not pay much attention to this legislation and have been implementing anti-corruption programmes mostly in special circumstances only (for instance, if a company planned to participate in a public procurement process). On the other hand, international companies operating in Ukraine were more responsive to the new legislation. In our view, Ukraine’s aspirations on joining the European Union (EU), requirements put forward by the EU management for liberalization of the visa regime with Ukraine, the establishment of a new body aimed at fighting corruption (the Specialized Anti-corruption Prosecutor’s Office) expressly indicate that anti-corruption regulations as well as the methodology and quality of prosecution of corruption-related crimes are subject to further enhancement. We are of the opinion that this will lead to more stringent control over unlawful business practices and that the establishment of anti-corruption programmes/procedures will become a matter of vital importance. Taking into account PwC’s expertise and experience in the design of effective anti-corruption procedures, and given international best practices in this field, we have prepared the following outline of the key pillars of an effective anti-corruption programme. As is the case with other company activities, the starting point for the creation of a viable anti-corruption programme is the strong promotion and support of the initiative by senior management. Companies should assess: which areas of the business have the highest risk of corruption; the reliability of individuals who interact with public authorities on behalf of the company; business strategies used in M&A and other corporate deals; the level of interaction with tax, customs, immigration and other authorities; the business models operating based on joint activity agreements; and the company’s dependence on licenses, permits, etc. Other important aspects that should be taken into account when approving an anti-corruption programme are the size, sector and nature of the business, as well as any peculiarities of the jurisdiction where its production units are located. A company must have in place a number of regulations and rules of behaviour with respect to any activities deemed to be at risk from corruption. These documents should be clear, accurate and accessible for review by each employee and authorised person of the company. It is also important to ensure familiarisation with the anti-corruption corporate policies by persons who are not employed by a company, but authorised to act on its behalf. Both best practice and our own expertise show that the results of an anti-corruption programme depends on the commitment of every person associated with the business (whether employed or not) to follow the requirements of such a programme. To ensure the proper functioning of the anti-corruption programme, it is advisable to create a special department (consisting of a minimum of 1-2 senior corporate officers), which will be entrusted with the function of control over compliance with anti-corruption policies. To have real influence in the company’s corporate structure, the officers of the anti-corruption function should have adequate powers, a certain autonomy in relation to the company’s management, and sufficient resources. In the United States, authorities pay special attention to the adequacy of the ratio of officers and resources available to implement an anti-corruption programme to the size and structure of the company and the type of risks inherent to a particular field of business. Multinational companies operating in a number of countries generally have a centralised anti-corruption compliance unit in addition to local anti-corruption units within each country. An important element of an anti-corruption policy is to ensure compliance by third parties such as agents, representatives, consultants, distributors, contractors, suppliers and joint venture parties. As a result, we encourage our clients to pay special attention to the careful selection of business partners, the awareness by these partners of the anti-corruption requirements of the company, and an awareness of the importance of compliance by these partners. In our view, it is crucial to execute a thorough study of the business history of potential partners. Such a study includes not only requesting or obtaining documents which certify a counterparty’s standing, but also requires confirmation thereof in publicly available registers and resources, research of the counterparty’s court practice, and research regarding the reputation of the company, its management, founders and beneficiaries. For instance, the World Bank’s recommendations clearly state that any payment made to a business partner must be an “adequate” and “evidenced” compensation for the services rendered or goods supplied. In addition, the World Bank indicates that companies should avoid cooperation with contractors, suppliers and other business partners that have engaged in, or are suspected of engaging in, illegal business practices. Companies usually do not have trained specialists to carry out a proper evaluation of the relevant risks related to a potential counterparty. For this reason, businesses often engage external consultants who, in strict confidence, conduct independent assessment of the described risks. Another element of an anti-corruption programme is the introduction of a specially designed system of internal control over financial flows. Such a system should be established to screen any settlements initiated by employees involved in direct interaction with state bodies on behalf of the company. In practice, companies may introduce a reconciliation process of payments made in favour of public bodies or “suspicious” companies which could be incorporated for money laundering schemes or tax evasion purposes. For this reason, the company may engage different control units, including a central anti-corruption department at the head office. We would also like to emphasize the importance of regular communication and anti-corruption compliance training for all employees. For instance, this is also incorporated in the Foreign Corrupt Practices Act (USA). Anti-corruption training should not be of a one-time nature. The world’s leading practices in the fight against corruption indicate that such activities should be carried out on a regular basis and be adapted to the peculiarities of the particular business. It is recommended to conduct separate training sessions for managers of companies that operate in those areas most prone to corruption risks, e.g. public procurement, and interaction with public authorities (including tax authorities). Along with all the above, one of the pillars of a successful anti-corruption policy is to protect employees and third parties that notify or expose corruption (so-called “whistleblower protection”). The best anti-corruption practices include the establishment of policies or regulations for a whistleblower’s activity, the mechanisms for internal audit of the facts received, and confidentiality guarantees. To ensure the effectiveness and safety of such a policy, the collection centre of such information should be located at the centre of a particular business group (i.e. at the central office). Anti-corruption policies are subject to periodic testing and updating. This is necessary due to regulatory changes, the emergence of new corruption risks or the removal of previous corruption risks, a change in the business model of a company, etc. For example, to enhance the effectiveness of existing programmes, provisions of the Foreign Corrupt Practices Act envisage the conduct of a wide range of benchmarking studies (i.e. comparative tests) of the anticorruption practices of other companies. The best practices include such grounds for reviewing existing anti-corruption programmes as a study of the opinions of staff about the effectiveness of anti-corruption programmes, and holding “control checks” of the compliance of staff with such programmes. Our experience confirms that the creation and implementation of anti-corruption programmes and policies is a multifaceted task, which requires special knowledge, sufficient experience and the availability of staff with the right training. We are convinced that the top anti-corruption compliance models are not merely a set of static rules but, on the contrary, should be a flexible, constantly modifiable mechanism, which reacts appropriately to rapidly changing circumstances.